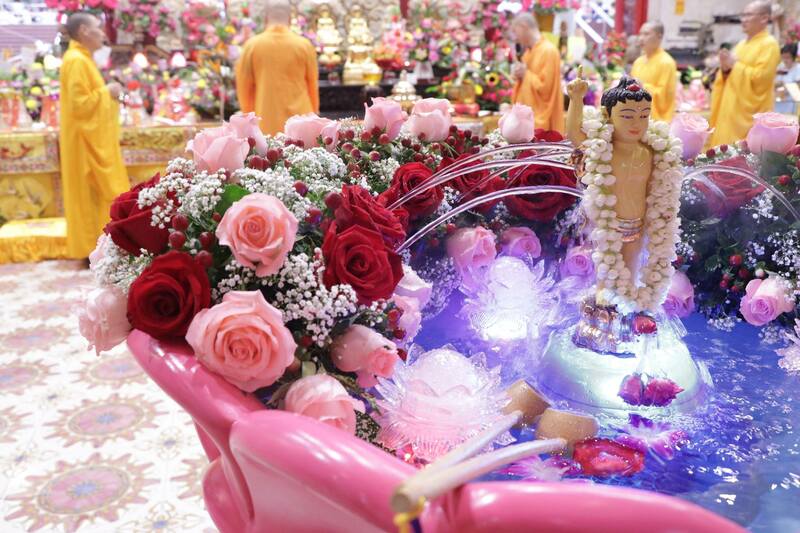 Most temples hold ceremonial bathing of an image of baby Prince Siddhartha placed in perfumed water with flowers on Vesak day. The perfumed water is scooped with a ladle and poured over the statue. This symbolises the purification of one’s unwholesome deeds with wholesome deeds.